Wind makes a winter wonderland. Portland, Ore. BREAKING NEWS: Heavy snowfall throws local blogger off his publishing schedule. Anyone who has read the Portland Orbit more than once might be curious as to how snow fits into the theme of the blog. It has no relevance but this particular weather phenomenon has the whole area in a contagious tizzy. There is nothing else anyone can think of other than to consider that we are snowed under. We can’t get anywhere, we can’t work, we can barely think other than to make as quick an effort to adapt to the ways of Eskimos. There is snow day/cold weather sloth to wallow in and the drifting back to memories of childhood snow day anticipation. These memories have become more familiar because I work for the school system. 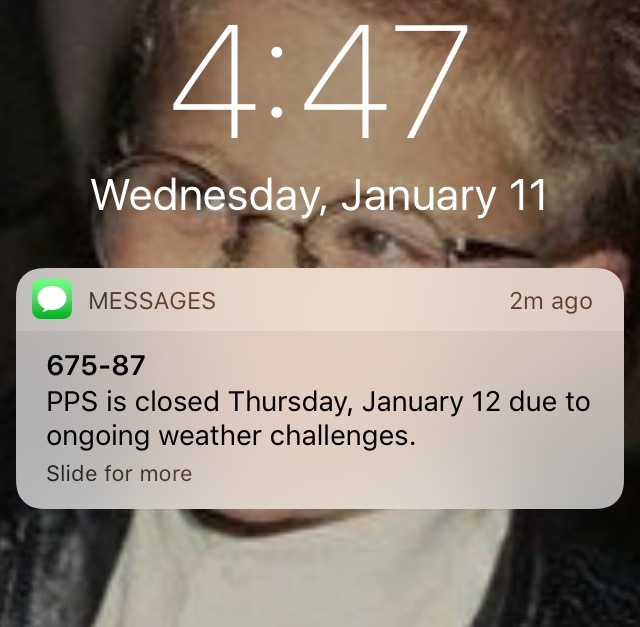 A cancelled school reminder came early. 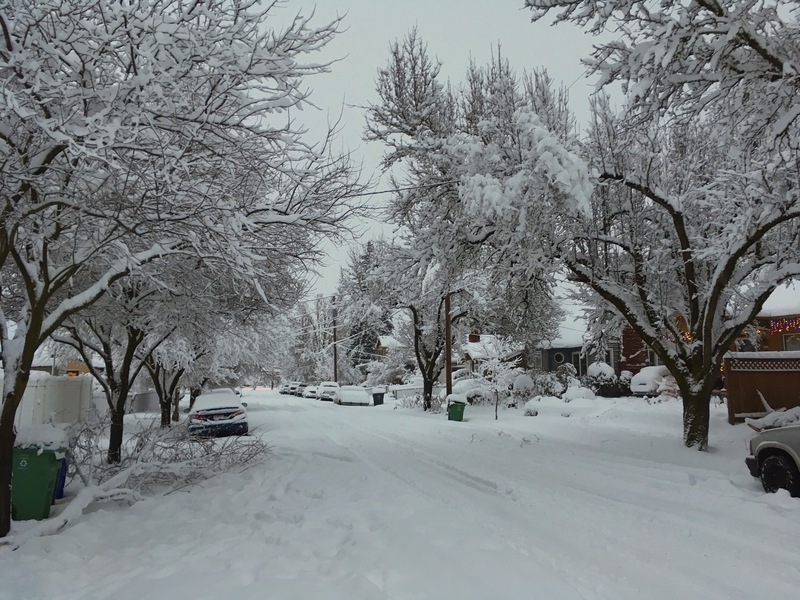 This was a significant snow accumulation event in Portland that began Tuesday night. That weather man phraseology has something to do with watching round the clock news coverage which I now realize is completely optional but, hey, sometimes you get sucked in. We live in an area that can be paralyzed by an inch of snow so imagine twelve times that much. After a while it became obvious that all these live reports added up to one fact: This is a lot of snow and the city is shut down. When the snow started falling it was satisfying to be able to watch traffic camera shots of cars stuck on the highway from our warm and cozy home. Unlike Eskimos we only have one word for snow. It’s snow, snow and snow. This is more snow than the last significant snow fall which occurred eight years ago. This means I won’t drop everything to write another blog post like this one until 2025. Portlanders don’t see much snow but this is the third snow event of the past six weeks. I’ve had eight snow days off this winter. 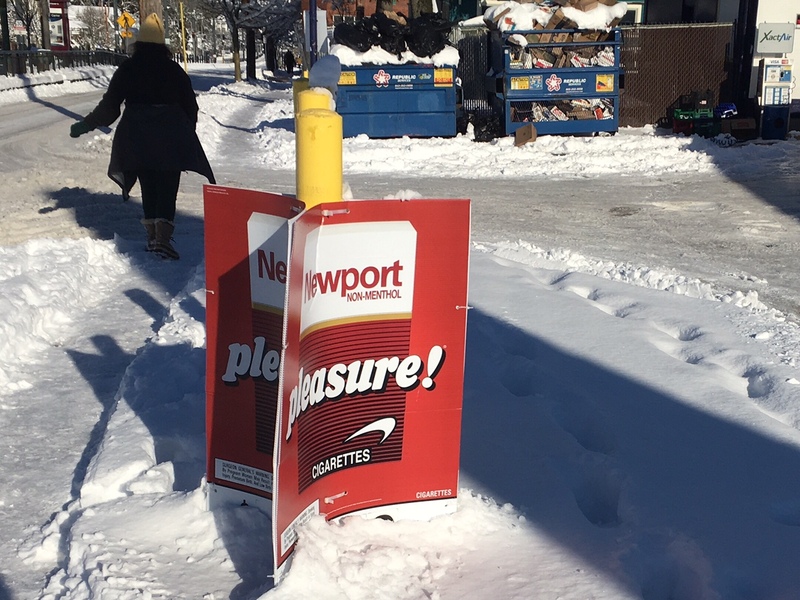 There’s not much preparation, no plowing or sanding and recent debates erupted about salting the roads but no salt could even be located to use when this snow storm began. There’s that word. The media has erupted with the use of the storm word. If their isn’t enough snow to cover the grass, which happened last weekend, then it’s hardly a snow storm. That word promotes hysteria and insanely long lines at the grocery store and it keeps us glued to the news allowing for more opportunities to sell us cars and mattresses. I wanted to rant but you have to admit that anytime ice occurs you get an ice storm and then with this situation the snow piled up fast and furious like we’d never seen it and we got a legitimate snow storm. Our response to the dumping around our household was to bozoing it up and dig ourselves out with a dust pan and a canoe paddle. Okay so we brushed the snow off the cars, got a rudimentary path on the front sidewalk and cleared the driveway for the mailman, the least we could do for the guy. The next day the sky was blue and the sun was doing its best to melt the snow despite cold temperatures. That’s where I leave this story. I now realize how this does relate to this blog. People get creative when they get snowed under. I enjoyed a slide show of exotic snow men, snow creatures and polar bears made out of snow on an episode of AM Northwest. People are not taking as many selfies in order to focus on photographing the beautiful snow scenes. 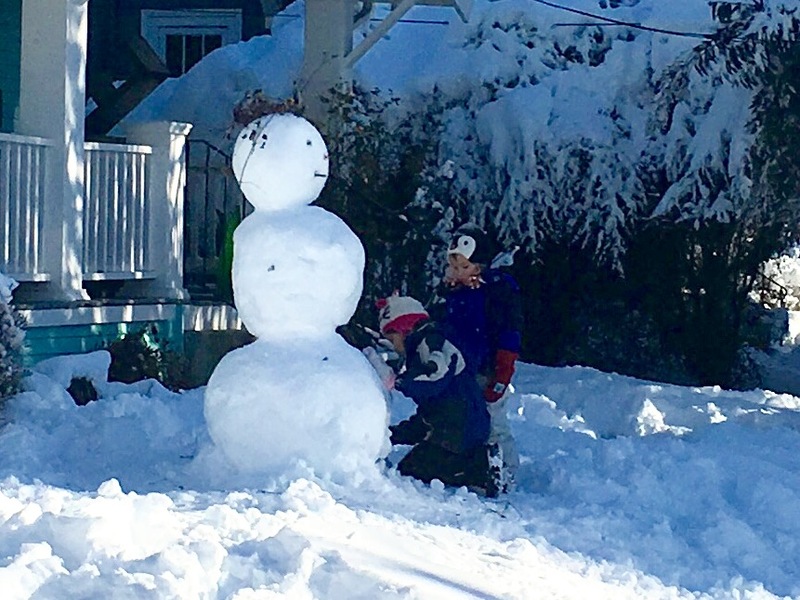 I only spotted one full fledged snowman with terrific hair and a baby carrot nose in my neighborhood. But kids of all ages are taking time to enjoy the snow. 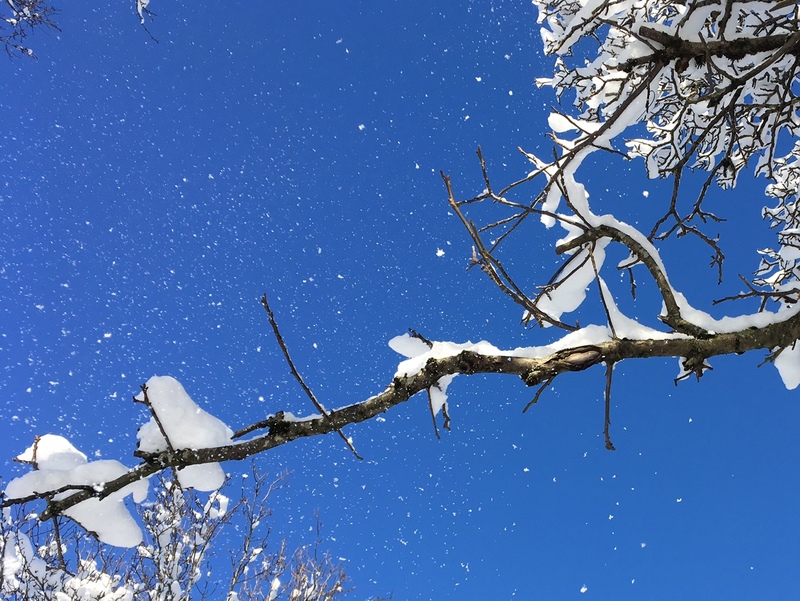 There’s also more personal contact that comes when talking to neighbors about fallen tree limbs or passing by the people whose cars may be stuck as well as a chance to spot occasional cross country skiers. I was relaxing, feeling sluggish and thinking that I needed to use my snow days to compose a symphony or some thing when it occurred to me that my favorite four letter word was slot and all I needed to do was add an h to achieve sloth. (Cabin fever has done something to my brain.) I’m okay with trying to enjoy a break. Soon enough I’ll be back to my comfortable rut of gray skies and rainy afternoons. Portland is experiencing winter, not like a Shakespearean winter of discontent so much as real winter with actual snow and cold. It’s nothing to get too excited about it’s just some thing to dig. Snow. Long shadows. Cigarette ad. Back to our regular programming next week with a speculative commentary about Salt Lake City, Utah. I had no idea it actually snowed in Portland! Conditions have to be just right, but once in a blue moon we get dumped on. No school/work was great while it lasted but apparently we’re paying for in in the end.